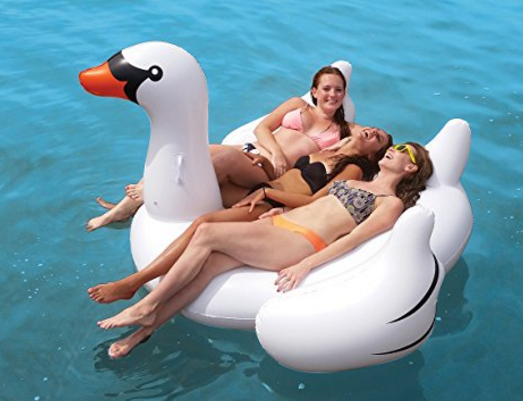 Get this Swimline Giant Inflatable Swan in White for $21.19. That's an all-time low! The International Leisure Swan is THE ORIGINAL Giant Inflatable Swan!! Kids and adults of all ages will love riding this graceful Giant Swan! Made of heavy duty vinyl this Giant Swan is super sized at over 76" long! 140 lb weight capacity.